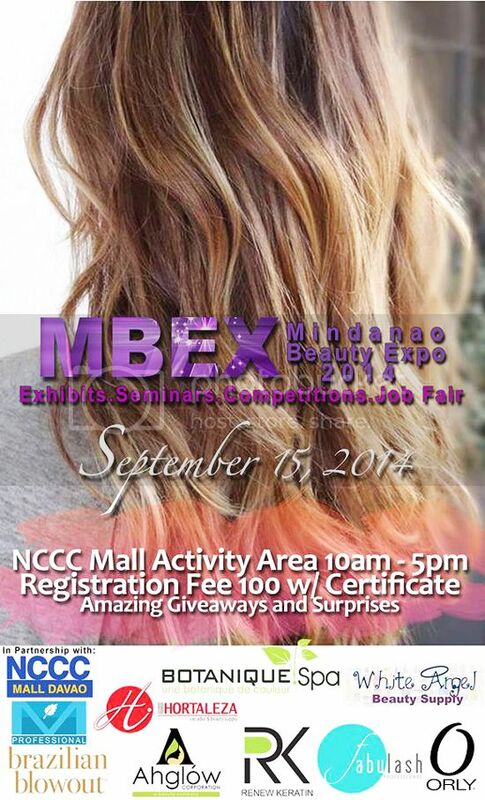 Hello beauty enthusiasts in Mindanao, buckle up for the biggest beauty show in Mindanao happening this September 15, 2014. It will be held at the exhibition hall of NCCC Mall of Davao in Matina. Win as much as 5,000 pesos +++ in each category. There will also be Career Development Talks and Job Fare Recruitment if you're interested to work in beauty industry. An entrance fee of P100 entitles you to giveaways and win exciting beauty products and beauty services in the raffle.